So is his new power going to be the ability to stop other people’s powers? Neat, but we already have a guy who can do that. And why in the world wouldn’t they have defense systems for stuff like this? Can’t have kid-villains doing stuff. I think that’s him being dragged along for the ride, not canceling. There is only so much you can do to prevent something like this, before it veers into making weaponry specifically designed to take out specific heroes, which unless you are Batman never goes over well. I am sure it will trigger an alarm in the tower, that three(or two depending on how fast he is) have suddenly been teleported out of the tower and to where. Or perhaps copy or even steal other’s abilities? Look at how Ron is touching Charles as the former activates his ability. He isn’t touching Charles, he’s touching the Flea. Still, I can imagine said touch triggering whatever powers he has. Dude! There is no way to see the “shadow” of a ball that’s under one of three (or five) cups! If villains can teleport in, ability or tech, then atleast half their security is useless. Wouldn’t they have shielding to stop teleporting in and out? Maybe more of an ability leach? If he survives Siberia then either copying the Fleas potential subzero survival or his own original latent powers could aid survival. I doubt he is reduced to just super senses. The building is probably shielded against teleporting in it, but not within it or out of it. And the teleport shields have probably been lowered somewhat for approved guests to the party. I can’t wait to see how this bites you on your behind (or turn out awesomely for your victims). Seconded. =_= Charles is genuinely so stupid that it beggars belief! He’s a vindictive bully that has serious issues considering the consequences of acting on his worst impulses. I’m not sure why the Headmaster thinks letting him walk around aliveunmonitored was a good idea. Why was he there specifically? A secret Pretorian base? Didn’t he mention they flew him to various locations that might be useful as places to teleport to? Considering how well monitored everything is, Charles is going to have a very bad day when the adult heroes decide to have a word with him. I think I saw some theories about time powers earlier, and this last frame kind of looks like he froze them both mid-teleport. I guess we’ll see. We are aware of five or less time travelers so far. Um…. Yeah. I think I can see why it looks like he froze them mid-teleport- neither Charles nor Flea is reacting to him. Charles isn’t looking at Ron, and the Flea’s normally *quite* expressive body language doesn’t indicate any awareness that Ron has hitched a ride. … y’know, Flea is awesome and all, and so is Ron (occasionally, at least), but I find myself completely distracted by how exactly the Praetorians managed to keep Charles calm long enough to fly him out to Siberia. Did they just tranquilize him and wake him up once they were there, or..? Because the only scenario I can see in my head where Charles is stuck on a plane for a long flight involves him getting bored, deciding to ‘port home to grab something or do something more fun for a while, and then teleporting back to where the plane was when he popped out. And then getting a brief, unpleasant lesson on two things: one, that airplanes move, and two, terminal velocity. I wouldn’t be surprised if a teleporter that had already been a bit more patient gave him the tour. Or the Praetorians offered him threats so horrible that even he was intimidated into being obedient. Or they hypnotized him. Didn’t Charles have an inhibitor on him to keep him from doing exactly this kind of thing without the Praetorians giving him permission? Or at least a tracker so that they know exactly when he’s done it? Considering that they gave him permission to go to the super-kid event they’ve obviously decided to loosen his leash and see how well he behaves, of which they clearly need to break out the rolled-up newspaper again. Ron’s “No, don’t–!” seemed far more concerned than just “don’t kidnap my friend and put him in a dangerous place.” I admit that I can’t think what I would expect for “merely” that, but it seems like he’s worried about more. …thinking about it, it probably is just that. It’s just it sounds more like a “you’re making a mistake” exclamation than a “please don’t do this terrible thing” exclamation, to me. I’m not sure why. Anyway, Flea’s expression-concealing costume makes it hard to tell if he’s genuinely blasé or just surprised but not showing it ’cause he hasn’t had a chance to react more than with a facial expression. But knowing him, I suspect he gives only about half a bother. I do wonder what his solution will be. If Ron hadn’t been dragged along, the obvious solution would be for Ron to report what’d happened, and (a) search parties to be scrambled and (b) Praetorian Academy contacted to have them discipline Charles and force him to retrieve his victim. Well, he just kidnapped two hero kids from a very public party at one of the largest group of heroes HQ, during a party they were throwing, and threw them into a very deadly location. Like, even if the heroes themselves don’t come down on him like a ton of bricks, Praetorian academy is going to come down on him even worse for drawing unwanted negative attention to them. What if Charles IS acting with sanction from the Praetorians? Letting him off the leash a bit and hoping that whatever he does leads to embarrassment and bad publicity for the heroes seems like a Headmaster-ish plan, and is fully deniable whether or not it comes to anything. Which villains should get their comeuppance first? Tyler’s parents or Charles? 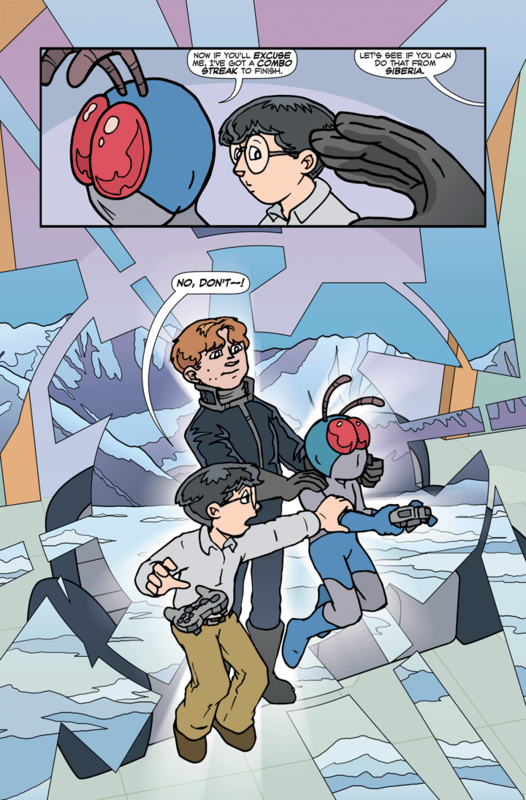 “Will” is an easier question to answer than “should.” Charles is going to get in trouble for his overt act of bullying that is arguably attempted murder with a superhuman power. It won’t be treated that seriously, but Praetorian Academy doesn’t tolerate this kind of behavior for such petty reasons (and so easily traceable). “Should…” is a little harder, but again, while the Marlockes are revolting people for their bigotry and generally emotionally abusive parenting, Charles is ACTIVELY doing things to cause immediate peril to life and limb, so probably should be higher on the priority list for comeuppance. Ultima and Sovereign did put Tyler – a defenseless child – in such situations frequently, but they’re not doing so now, which does impact prioritization. Tyler seems too young for the courts to even consider emancipation. So after the fight to prove that his “parents” are unfit there could be a fight to not be taken out of the school and the hell away from a dangerous, tax evading vigilante. Also there is a good chance Tyler does not even know about that option. I don’t think Tyler is staying out of love or hope or obligation but momentum. Plus they are “Heroes” Imagine the blue code taken to the nth degree. What they want for him isnt even so unexplainable. They insist that Tyler will manifest powers and with the appearance of his “twin” they got it. wierder things happen in this world. Dont get me wrong – I think they are monsters, but we have examples in our world that are similar, like parents of deaf kids refusing treatments that would cure the deafness because they don’t consider it a disability. This is kind of the same thing but reversed. Even the ps238 faculty that seem to be aware of how bad it is are limited in what they can do, because Ultima and Sovereign are well-connected in the superhero community and it’s hard to say what would happen if they encouraged Tyler to take an action they disagreed with — with the assumption they’d be more upset about Tyler seeking emancipation than learning from Revenant. Tyler pretty much has a new parent in the form of The Revenant. While it’s very arguable that the vigilante isn’t that much better in the “Child Endangerment” department than the Marlocks, he at least is doing a few things Tyler’s actual parents never bothered with; actually teaching, listening, and being there (after a fashion) for the kid. The fact that the Powers really didn’t seem to do that pre-Toby was bad enough. Now… I wonder if the Dept. Of Metahuman activity has a CPS division. The Revenant has been shown taking steps to minimize the risk to Tyler. Tyler might still be in dangerous situations with him but at least they are not more dangerous than they need to be. I sort of see there parenting styles with Tyler as the difference between teaching your kid to swim while sometimes forcing pushing them a little further than they are ready for, but always being there to catch them, and throwing them in the water repeatedly hoping this is the time they develop gills. Charles punishment is implied to have already happened but he has learned nothing and he is not being stopped. The worst part of what the Powers were doing has stopped because they got what they wanted they have learned nothing and not been punished. Why isn’t Charles dead or in jail? He’s tried (via dehydration and starvation, and in this case hypothermia) to kill multiple people. He’s basically a budding serial killer. You know how in real life you see kids murder people but the courts often run them through the juvenile court system instead of the adult system because ‘we should be thinking of their future, this one mistake shouldn’t ruin their life, they’re just children’? That’s why. Even though he’s guilty of overt acts of extortion, attempted murder, and theft demonstrating a calculated intent where he knows the wrongness of his actions and does them anyway the adults treat it as him simply ‘acting out’ and just not having learned that actions have consequences because he’s ‘just a child’. It’s entirely possible he could murder someone and STILL not be punished as he should be. Doesn’t help that from what we’ve seen the juvenile court system and child protective services are apparently incapable or otherwise failing to act on these cases because either the kids or their parents are supers and leaving things on the supers side to police themselves (always a bad idea). So Charles isn’t getting the kind of severe punishment needed to correct his behavior, he might even be one of those individuals that punishment CAN’T correct their behavior and only incarceration for life would properly protect everyone from him. the Joker is a literall mass murderer, not just a few, but hundreds of murders, but Batman keeps putting him back in a system that has been proven incapable of containing him. As soon as you have people with superpowers running around, the conventional rulebook goes out the window. And this is before you even take into account that Praetorian is (secretly) a school for supervillians… if Charles were at PS238 he might well have had decent behaviour knocked into him. Praetorian is ACTIVELY encouraging him to be evil AND GET AWAY WITH IT. His mistake before was getting caught. More than that, the Headmaster’s masterplan is to have a genocide on speed-dial as a countermeasure for the genocide he expects to happen. He doesn’t just want supervillains–he wants MASS killers. I have a feeling that Ron’s new power is something related to Order and Chaos. Perhaps as an antithesis to Toby’s raw Chaos powers along the lines of Smitty’s from Gunnerkrigg Court. Remember back to the beginning of the festival when he continuously correctly guessed at the cup shuffle and found the ball from the portal ball throw? All to the flummox of those around him. Though those were indirect occurrences, this is a direct one whose results we’re soon to see. not super speed, but the ability to see and understand things that happen at super speed.